Bardstown Boaters | A world of whitewater. Kentucky based. 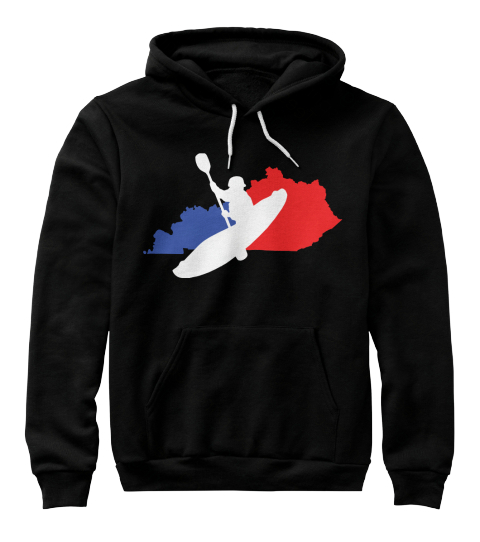 The Bardstown Boaters are currently working to bring a surf wave and a one of kind park to Kentucky. This rubble damn is where we aim to build the whitewater park, a modification to a natural river to allow for safe passage and recreational paddling. Completed: Bring River Restoration, a river engineering company behind many successful whitewater parks, to Bardstown to design the Beech Fork in-stream feature. Raise funds from private and corporate sponsors in the local industry to meet the costs of constructing the in-stream whitewater feature. Put Bardstown on the map for outdoor recreation by constructing the whitewater park on the Beech Fork River at the site of the rubble dam, creating a one-of-a-kind paddling destination, a first for Kentucky. The Bardstown Boaters are currently working to bring a one of kind whitewater park to Kentucky at the site of an old rubble dam on the Beech Fork River. The purpose of the project is to enhance outdoor recreation opportunities in Bardstown while removing the hazardous conditions that currently exist. A whitewater park in Bardstown will add great value to the community, a boost to the local economy, create an atmosphere for healthy lifestyles, awareness to the environment and could increase the pool at the rubble dam on the Beech Fork. 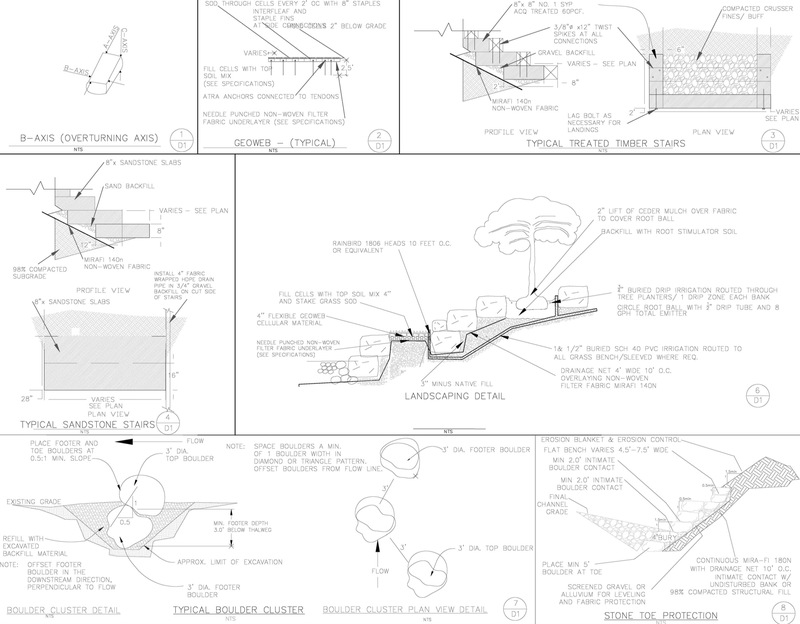 This report includes tasks 3-5; hydrology, hydraulic analysis, and two concept design alternatives for the Rubble Dam Improvement Project in the Beech Fork River. Common questions and answers about this project and other parks built in the United States. 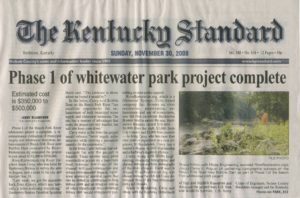 The Bardstown Boaters have been blogging about the Bardstown Whitewater Park ever since we began advocating construction of the river enhancements. With the recent reports from Riverrestoration.org, we will be bringing you even more information about what is happening behind the scenes in getting the Bardstown park created and perhaps this information might also serve you in getting your local park built. 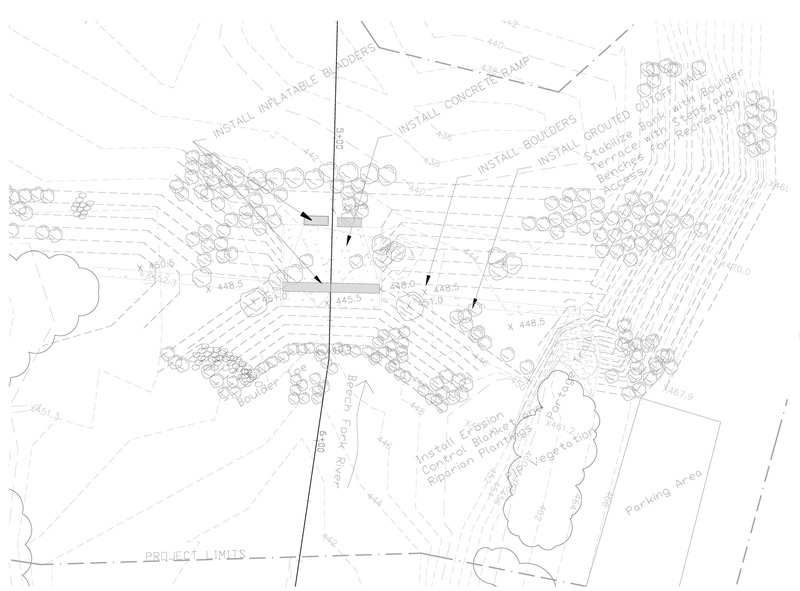 In the original Bardstown Whitewater Park report, we addressed the various questions about the what the whitewater enhancements at the rubble dam of the Beech Fork would be like. Now that we have a professional opinion from RiverRestoration.org we will revisit these questions with more in-depth answers. What is it that you are trying to do? Restore the invert for the municipal pump station. How much will it cost to build a whitewater park in Bardstown? Also, $17,000 has already been spent for Phase 1 and part of Phase 2. How much did other parks cost? How were other whitewater parks funded? Most existing whitewater parks were funded through county or city departments. Funding is often incorporated into the city or county tax structure. A few funding options are donations, capital funds, bonds, short-term borrowing, government grants, and private foundation grants. The Recreational Trails grant offers sums of between $2,500 and $100,000 to communities for trail projects. Recreational Trails grants require matching funds from the applicants, but the percentage of matching funds varies. According to Samantha Cook, Public Information Officer for the Governor’s Office of Local Development, the average amount awarded to applicant communities for Recreational Trails funds last year was $30,565. Recreational Trails awards could be applied to the whitewater feature construction since the Recreational Trails program makes funds available for water-trails. At the Williamston Whitewater Park, almost 50% was funded by the Michigan Natural Resources Trust Fund. The remainder was funded by the Williamston Downtown Development Authority. The Reno, Nev., whitewater park was publicly funded on voter-passed statewide bond. In the City of Sparks, the whitewater park was funded by two federal bills that funded the river channel improvements, with park improvements being funded through the Parks and Recreation Department. What are the economic benefits to Bardstown? With a whitewater feature on the Beech Fork, Bardstown should expect to see an influx of kayakers and paddling enthusiasts from all around the state of Kentucky visiting the park every day that it runs. On weekends large crowds would visit the park to paddle, fish or just to watch. Bardstown already possesses the infrastructure in the form of hotels, restaurants, and entertainment necessary to capitalize on the expected increase in whitewater visitors. Other cities, such as Vail, Colo. and Breckenridge, Colo. have noted significant increases in local economies due to these visitors. Economic impact studies show that whitewater parks in these towns have brought between one and two million dollars a year into the local economy. 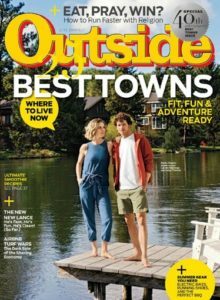 Bardstown, which is located in a region that is relatively devoid of whitewater boating, stands to be a tremendous attraction to boaters who would otherwise have to travel great distances for reliable boating and large competitions. Vail Whitewater Park in Vail, CO drew an estimated $1.4 million in extra spending in only a 5-day competition. According to City Council member Ed Noonan of Williamston, MI, and the Williamston Whitewater Park, whitewater boaters dine in town and patronize other local businesses, but since it is a passive resource just like the playground equipment, with no fee or registration, they have no idea how many people have used the rapids or how much they’ve spent. The primary benefit is community enhancement. Would we charge a fee to use the park? No fee for users of the park. Most other whitewater parks do not charge admission. The economic gains will come from the boaters and tourist who visit Bardstown to come to the park. Who will use the park? Viking Canoe Club, Louisville, Ky.
Bluegrass Wildwater Association, Lexington, Ky.
Will this be a wave or hole feature? Alternative 1 can provide a green wave feature for beginner kayakers, stand-up paddle boarders, and other recreational uses. A wave-hole type feature can also be provided for intermediate to expert kayakers. An advanced type feature may be desirable during local and national whitewater competitions. Alternative 2 provides a low flow wave type feature and multiple media to high flow wave-hole feature. When can the park be used? Year-round when there is enough water flow on the river. The highest activity will be in the Spring and Fall months. The whitewater enhancements will be used by the community during the flow periods above 300 cfs and below 5700 cfs respectively. The whitewater structures are likely to attract regional and national competitions at medium to high flows. Passive recreation and general use of the River Park will occur during all times of the year. How often will the whitewater feature be in? Based on historical daily mean flows at USGS 03301000 BEECH FORK AT BARDSTOWN, KY and considering that the feature/s will be designed to be “in” between 350 cfs and 1000 cfs, here is a breakdown of how often the whitewater feature will be available during the year. How many people will visit the park each year? Up to 1,500 per day on weekends visit the San Marcos, Texas, park. Over 20,000 visit the East Race Whitewater Park each summer in South Bend, Ind. 45,000 visitors stopped by Clear Creek Whitewater Park in Golden, Colo., over three years. How far-reaching will the park attract visitors from? When in operation a whitewater park in Bardstown can expect to draw in between 10-50 boaters per day and even more on weekends. The park will draw in up to 5 times as many spectators for the number of boaters.  The park would service all of Kentucky as well as Paddlers from Indiana and Ohio. The whitewater structures are likely to attract regional and national competitions at medium to high flows. What about the fisherman who currently use the area? Fishermen will be able to continue using the area for fishing with enhanced growth in the fish population. The new whitewater features will help increase the fish habitat by allowing them to naturally swim upstream to spawn. The whitewater modifications will also benefit wildlife. The whitewater will help improve fish habitat because it will be pumping a lot of oxygen into the river, which will improve the bug habitat — that is insect life the fish need for food. The play structure will also create a pool of slower-moving water in its downstream “shadow.” This quiet water is critical habitat for fish wildlife. The alteration of fast, turbulent water with quiet pools increases habitat diversity for other species of animals and plants too. Improved habitat means a healthier river for us all. Where will parking be for the whitewater park? Currently, there is good parking beside the bridge on the North and South sides of the river. Many fishermen already park here on a regular basis. Where will you put the whitewater park? On the Beech Fork at the old rubble dam where the 31e bridge crosses the river. Why at the rubble dam? This is the only place in Bardstown that meets the criteria needed to build a whitewater park. The river location needs to have a sufficient drop and sufficient water flow. Other whitewater parks have been successfully built and operate with as little as 3ft of drop and 100 cfs of water flow*. Whitewater Parks typically have a design flow of 600 cfs and channel widths of less than 50 feet**. *From Recreational Engineering and Planning located in Boulder, CO.
What is the amount of drop and water flow on the Beech Fork? The channel experiences extreme hydrologic regimes, often dropping below 1 cfs for the months of September, October, and November, and then peaking over 5,700 cfs in February, March, and April. USGS Gage 3301000 is set on the downstream low chord of the US 31E Bridge. Gage 3301000 has recorded the most mean daily values since November 14, 1940, with a gap in the record from the water year 1975 to 1997 and water year 2000. Daily flow data from the period of record was reduced. Figure 1 below presents the daily flow that occurs 50% of the time. Design flow for municipal intake is all flows above 1 cfs. Design flows for recreation enhancements range between 350 cfs-3500 cfs; which occurs during the period of late December to mid-May. The construction period should coincide with low flow periods of August-October. At 1cfs flow, the hydraulic drop over the structure is 6 feet. At flows above 5,700 cfs the structure is totally submerged with no hydraulic drop other than the gradient of the river. The structure functions more as a grade control than an impoundment; the upstream pool is necessary for pump drawdown, and not for storage of water. The structure has been totally submerged every year of the gage record. The published (FEMA, 1980) 100-year event is 46,700 cfs with the 10-year event at 32,900 cfs. The main channel banks are overtopped at approximately 6000 cfs; however, the topography continues to rise rapidly beyond the banks without a defined alluvial floodplain. The vegetated banks are overtopped at approximately 12,000cfs (elevation 461′ at RS 5+80). As a comparison, the 1.5-year return flow was calculated through a Log Pearsons Type III analysis as cfs. Vigorous vegetation encroaches on the main channel bed to a low flow channel that is filled at approximately 2,400 cfs. What difficulty will the rapid(s) be? The park design should be planned in accordance to the available hydrology to maximize use throughout the year. The class rating should be in the range of II-III. The whitewater plan should provide top level boating for expert users while maintaining navigability for all levels of users and providing recreational and instruction paddling opportunities throughout its length. Improvements should be low maintenance and should not affect the City’s utility operations or create a flood risk. Mechanical bladder structures are desired because of the ability to adjust the invert at varied flow for the pump station. This also facilitates a broader range of recreational adjustment. For example, a green wave feature may be more desired for beginner kayakers, stand-up paddle boarders, and other recreational uses. A wave-hole type feature may be desired for intermediate to expert kayakers. An advanced type feature may be desirable during local and national whitewater competitions. How many features/drops will the whitewater park have? It can have 1 or up to 3 whitewater features due to the geography of the river. The Cumberland River below Cumberland falls only has between 6 and 8 rapids over a course of 12 miles and attracts a large number of paddlers each summer. If the Beech Fork had only 1-2 rapids, perfectly constructed for playboating, easy negotiation of the river, and could be run over and over again it would still be a very attractive destination for whitewater enthusiast. Where will river access and parking be? The City currently owns the land on the North East quadrant of 31e and the Beech Fork. Access would occur here. Park improvements may include a parking area, portage trail, picnic table, restrooms, educational signs, and other amenities. Some of these have been included in the Concept Alternatives. What permits are needed and from what state and federal agencies? River enhancements will require an Individual 404 permit and a Biological Assessment. 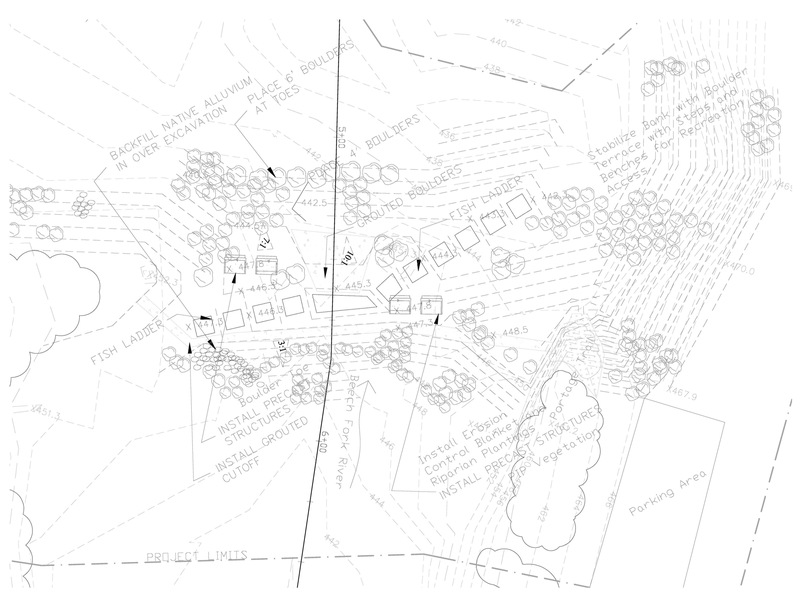 A habitat survey should be conducted prior to the final design phase. Who is in control of the river? How will the park be insured? Although injuries at whitewater parks throughout the world are rare, the potential for injury related liability must be addressed. Liability will be shared by requiring insurance from on-site operators, event organizers, and public users. Generally, special events require special insurance while the river parks are covered under umbrella policies. Basic risk management and common sense site planning that is documented and applied throughout the process can easily mitigate the risks associated with most parks. Simple measures such as posting warning signs, clearly marking boundaries where boating is and is not permitted, and design measures that facilitate self-recovery are a few of the methods that have been employed by existing facilities to improve user safety. Removal of any in-stream hazards is recommended when feasible and will improve the safety of all park users. Minor site adaptation can further mitigate the risks of any remaining hazards. 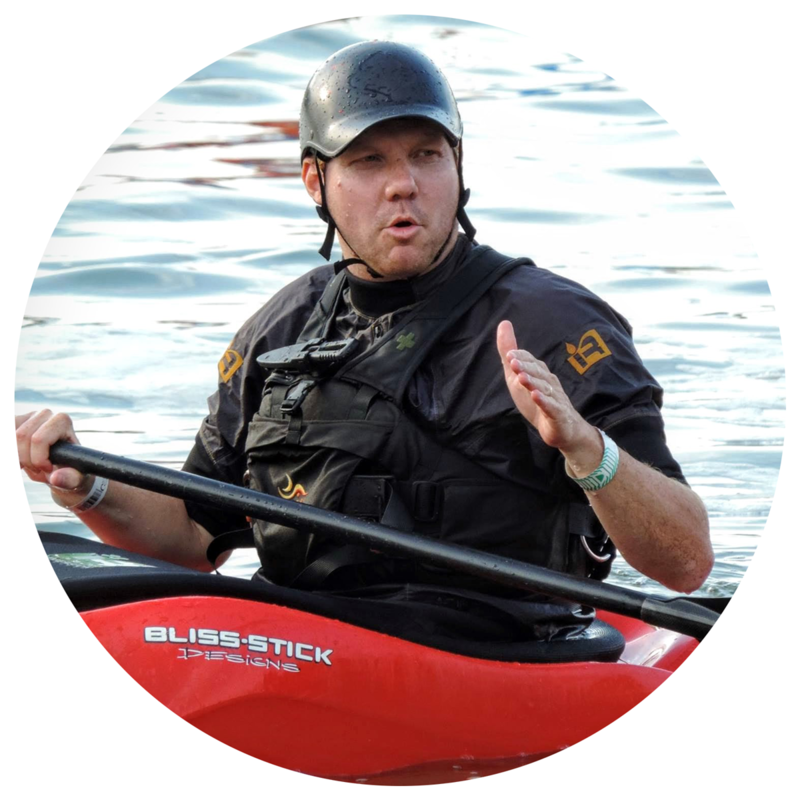 The increased presence of paddlers will also improve the overall safety of other river users. The use of any facility employing such measures should then be considered low risk. In Reno on the Truckee River Whitewater Park commercial outfitters carry a $1 million insurance policy. The city’s insurance rates did not raise. According to the Hydraulic Design Group, the parks are not insured individually. The parks fall under the city’s general insurance of parks and recreational facilities. At the Williamston Whitewater Park in Michigan, they have municipal immunity, and it is a free facility in a public park. There is no special insurance, just the City’s basic liability policy. What are the environmental impacts of the park? On a daily basis, the Bardstown Whitewater Park can serve as a reminder to all of us, the value in protecting our natural resources. By promoting an interactive relationship with the outdoors, the park can demonstrate the vital importance of humans interacting with their environment in a way that supports a balanced, healthy lifestyle and ecosystem. How can Fireman and Rescue Teams use the park for swift-water training? Historically, whitewater parks have been used as swift water rescue training sites for boaters and firefighters. By create staging eddies and enhancing bank access, the whitewater park would serve as the perfect training ground for swift-water rescue training.